Are you building your own home and you don't have years to finish everything? 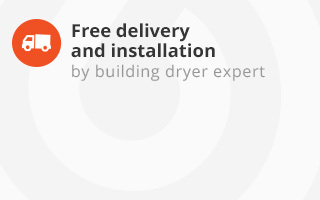 Then we recommend you to use building dryers during your project. The drying of screed or plasterwork can take much time and delay the building process. 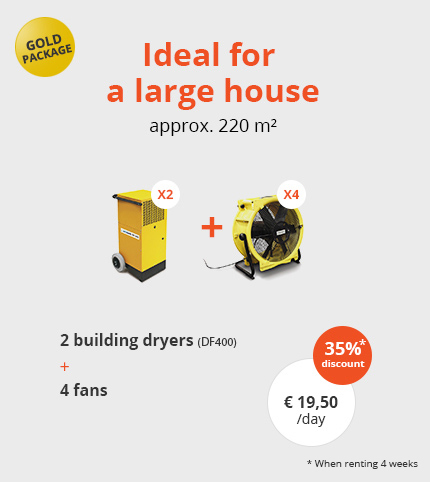 Luckily for you, building dryers in combination with fans and possibly additional heating, allows you to get your new-build home dry again in a minimum of time. 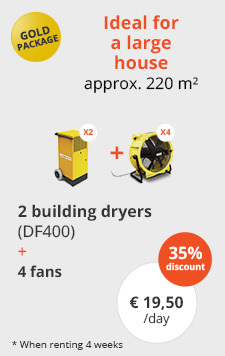 What is a building dryer used for? Building dryers are used to speed up the evaporation of building moisture. This building moisture is produced during plastering and screeding. Without building dryers it takes much longer to get the new-build dry again. 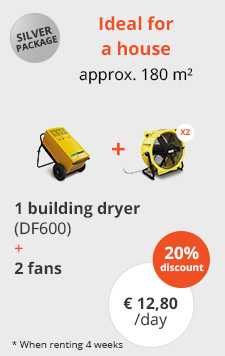 When you combine building dryers with fans you will see the building dryer's efficiency go up by 30 to 40 per cent. Moreover, you can use building dryers to cause concrete basements to dry faster. 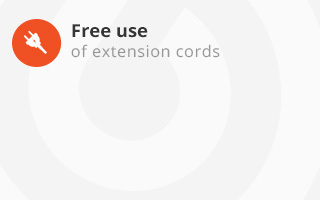 In short, they are ideal to help keep your new-build project on schedule! 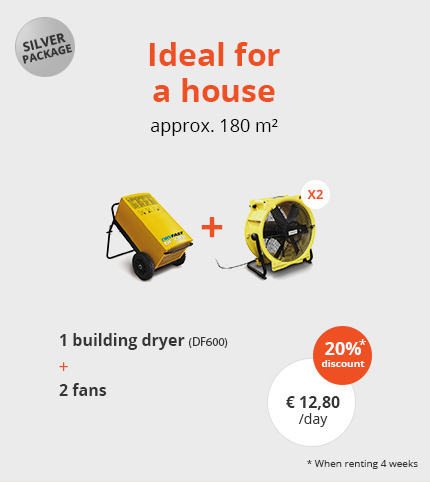 Why use a building dryer in new-build homes? Natural drying means that you are totally dependent on the climate. Our Belgian weather, however, is hard to predict. A realistic estimate is nevertheless indispensable for setting up the necessary appointments with contractors and handymen. When building dryers are used, the drying time can be estimated far more easily. 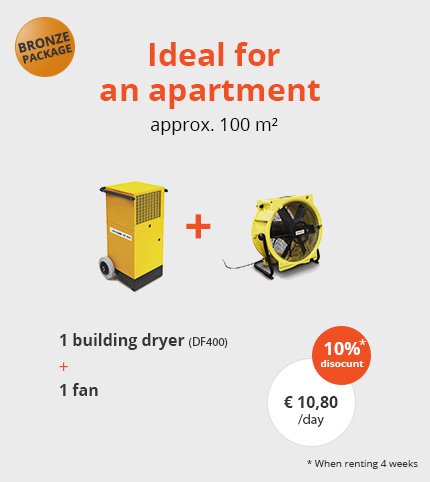 In the case of new-build, a building dryer is typically hired for two to four weeks. With natural drying you never know for sure when everything will be nice and dry. 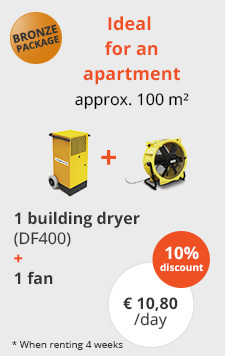 When hiring building dryers for minimum four weeks, we also give you a nice discount on your package! A beautiful new-build home that is covered with mould shortly after plastering, is not a pretty sight. Using building dryers reduces the overall humidity, so that moulds can no longer survive. Existing moulds will die off, thereby preventing new mould growth. 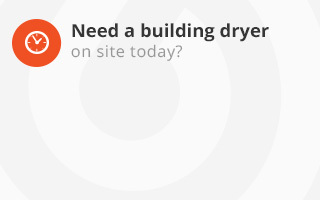 Are you interested in hiring building dryers or do you have any questions? 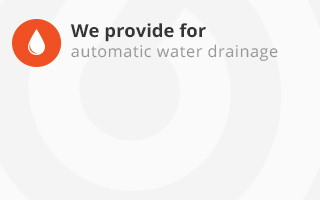 Contact us at any time for a quote via the contact form.